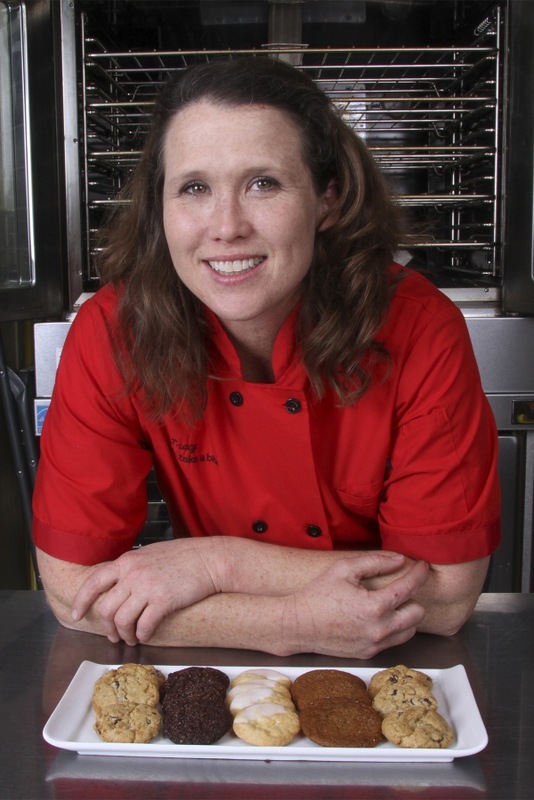 Unique Corporate Gifts - Custom Cookies - Business Gifts | COOKIE...take a bite! We are exciting to announce our new customized printed tin program! We are now able to print your logo and message directly on our deluxe or premium tins! 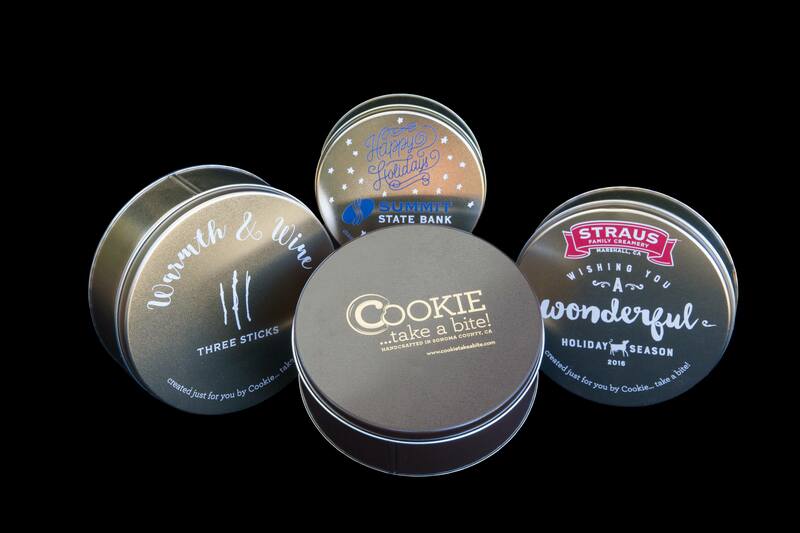 Personalize your client gifts this year with a delicious tin of fresh baked cookies. Low minimums and we can handle all of your fulfillment needs. Call for more information and to book now! – give your clients the gift they will remember you by! Minimum Order 24; any remaining custom stock is the financial responsibility of the client. For example if only 23 tins are fulfilled, the last custom tin will be billed at a rate of $5.25/tin. Available tin color: Black, Silver, White, Gold. Colors subject to availability. Call to see what colors are available as availability changes with seasonal ordering. Logo needs to be shared in a VECTOR ESP file. Additional charges will apply if we need to convert file. One time charge. Lead time 3-4 weeks once art work is approved. 25% deposit required once order is confirmed and finalized. Don’t want to customize or need 24 tins: Our own COOKIE…take a bite tins are still a great gift to show you care! They are $20.00 and $35.00 respectively with no minimums! Upload your corporate logo here! EPS Format only. Vector files are required for the highest quality printing.